Betonite powder, 70 day supply. 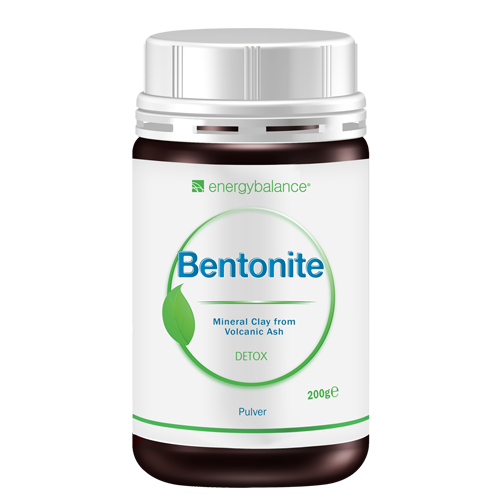 Betonite is a mild detoxifying substance with a protective gel effect, a natural mineral clay made from volcanic ash. 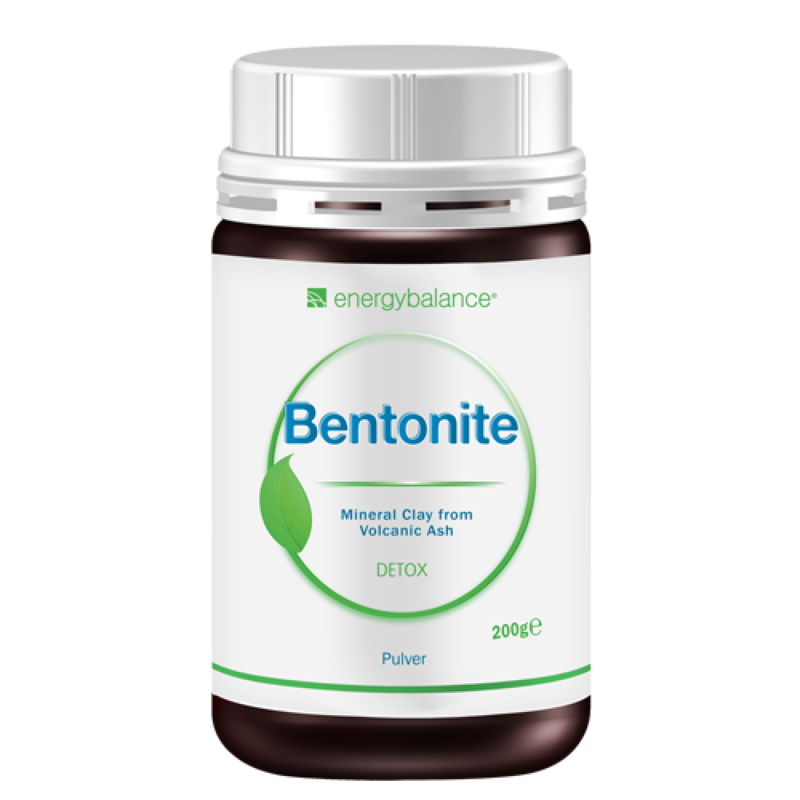 EnergyBalance™ Bentonite contains at least 95% montmorillonite and is tested at certified German laboratories for identity, purity, easy digestion and quality. EnergyBalance™ Bentonite meets the quality criteria of the European Pharmacopoeia PH. Eu. 7.0. The cleansing, detoxifying effect of bentonite is good for your skin, too. Bentonite is perfect for making your own face mask. Betonite is more effective when applied to clean skin. A bentonite mask stimulates detoxification and circulation and fights pimples. A mud bath with bentonite is especially soothing and stimulates the skin's metabolism. E.g., as a face mask. Combine 1 tablespoon of montmorillonite-bentonite with 1-2 teaspoons of water into a thick paste. Let sit a few minutes and then apply to clean skin. Leave the mask on for 15-20 minutes and then rinse off with warm water. Take for at least 2 to 9 months. Drink twice a day. Add 1 rounded teaspoon to 2dl/200ml water. Stir well. Drink on an empty stomach about 30 minutes before eating or before going to bed.